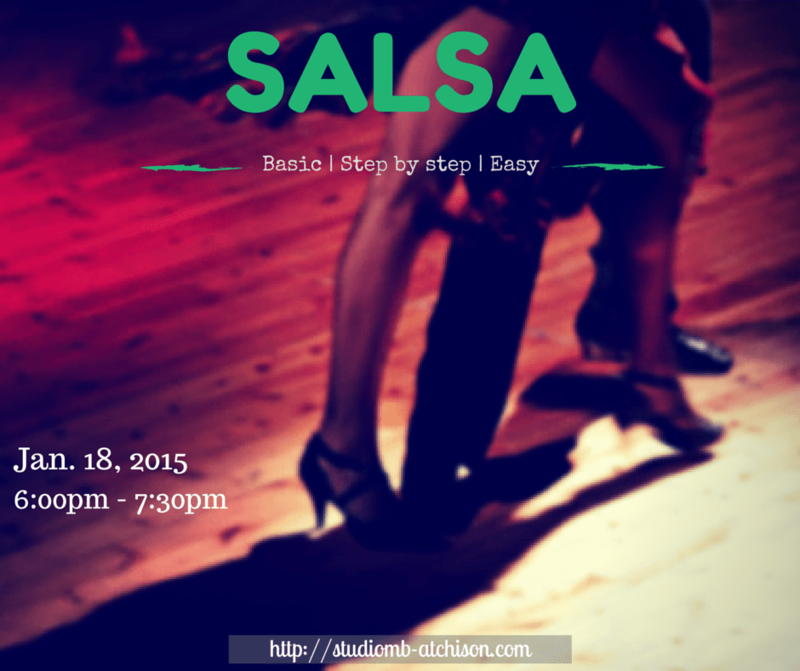 Learn the Salsa basics, step by step, in this easy to follow workshop! Bust out your dance shoes, grab your partner & head to Studio MB January 18th, 2015! If you love to dance, want to learn how, or looking to brush up on your moves, Salsa Blast Jan 2015 is just what you’ve been waiting for! Don’t be stuck at the table, or even worse, holding up the wall at that next dance party. Break out of your boring routine of sitting at home, bring a dance partner to Studio MB on Sunday, January 18th from 6:00pm to 7:30pm, and learn the basics of Salsa. Surprise your friends and family next time you hit the dance floor! No, this is NOT a regular class. It is a one-time workshop, so don’t miss out! Dance & Choreography Sessions with me cost $50+. However, I know wedding season is fast approaching, and I want you to be able to join in on the fun! That’s why I’m giving you an hour and a half for the ridiculous price of $10 (yes, that’s $10 for you AND your dance partner). Take advantage now, space is limited! Once the spots are taken that’s it.. Don’t kick yourself in the rear because you didn’t do it. Register Now! Sorry, this class is SOLD OUT. After completing your checkout, your name+1 will be added to the guest list, and you will be redirected to a confirmation page. You may also register in person at Studio MB.